Pest control anywhere from Porirua to the Hutt Valley and the greater Wellington region. 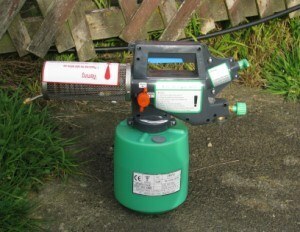 We also carry a range of cold foggers and other equipment. For more info and a full list of stock we carry feel free to use our Contact Us page. These units are brand new. They have 4 prongs instead of the normal two. They give very accurate readings and are completely digital. They come with their own soft carry case and a spare set of prongs. They are powered by a simple 9V battery. We are selling these units for $90 + gst and we also use them ourselves as we have found them brilliant. If you have any questions or inqueries about these units do not hesitate to contact us through our conact link above. It is a very powerful unit for its size and economical too.